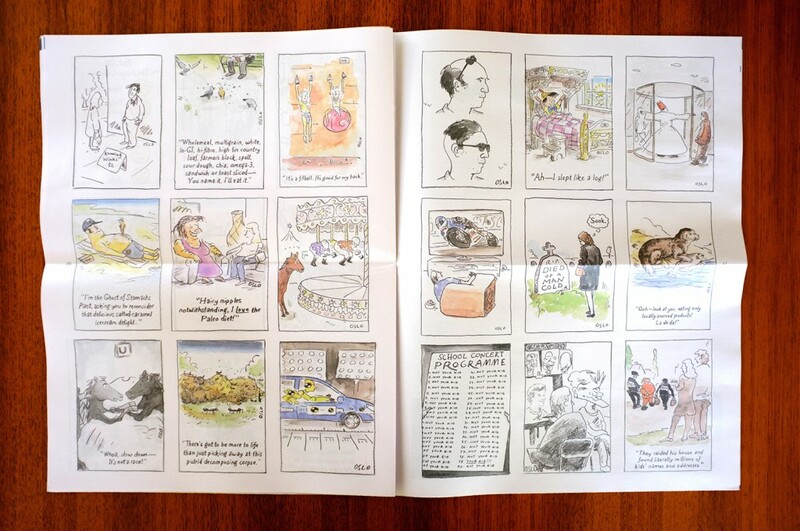 July's Newspaper of the Month is Raised Eyebrows #2, from Melbourne-based illustrator Oslo Davis. 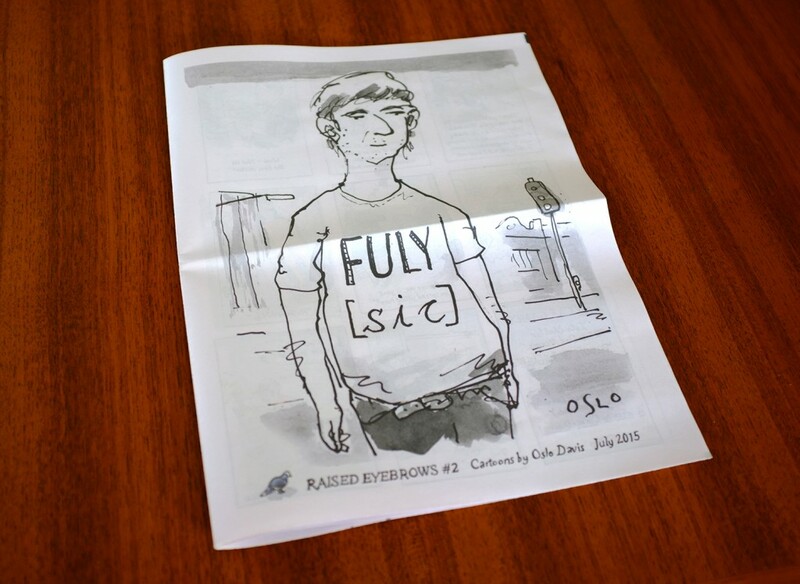 It's a digital tabloid collection of Oslo's witty and understated comics, a welcome follow-up to Raised Eyebrows #1 which he printed with us this time last year. 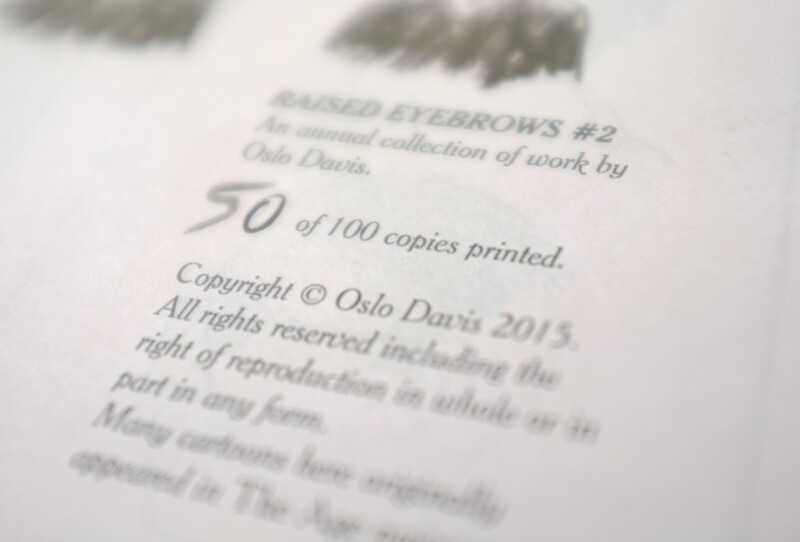 "Raised Eyebrows #2 is the second edition of an annual newspaper I do to promote what I do. I am an illustrator and cartoonist for newspapers and magazines worldwide, and this edition of Raised Eyebrows is a roundup of some of the better cartoons I’ve done recently." "Newspapers as a format are no-nonsese and less-precious than books or glossy magazines. They are accessible, foldable, readable and don’t take themselves too seriously. And because of this they are especially perfect for cartoons." "Cartoons themselves are, I think, inherently ephemeral and light: you look at them quickly, maybe laugh, then move on. You might even cut them out, stick them on your fridge. 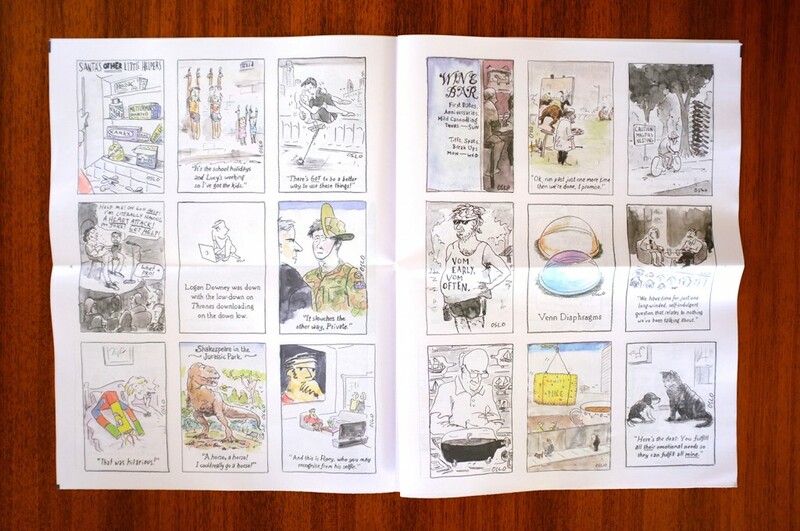 And since many of my cartoons appear in local broadsheet newspapers here in Melbourne, producing a collection of my work in my own newspaper made perfect sense." You can buy Raised Eyebrows #2 for £6.50 in The Newsagent. Congratulations, Oslo — thank you for printing with us! We'll look forward to #3 next year.